I like seeing other peoples' tying caves/desks. Here is mine. The desk was made for me by a local cabinet maker. 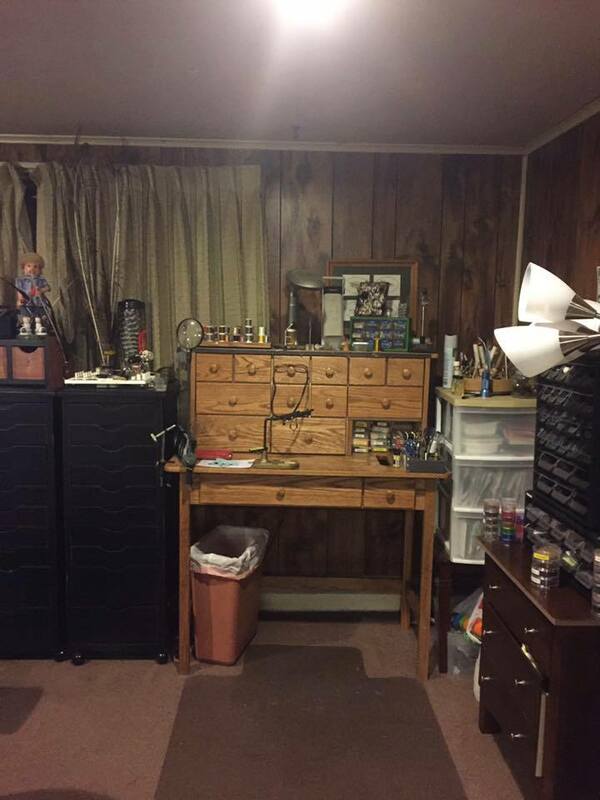 It was the first fly tying bench he ever made. I am still working to replace all of the plastic containers with more "furniture" for storage. I suppose we all began with the plastic stuff because we had no idea what our hobby/addiction would become. If I had only known!